This year will be the 51st anniversary of the Blake Jones Trout Derby – one of the state’s largest single day derbies! Registration, weigh-in & awards ceremony will be at the Tri-County Fairgrounds in Bishop. 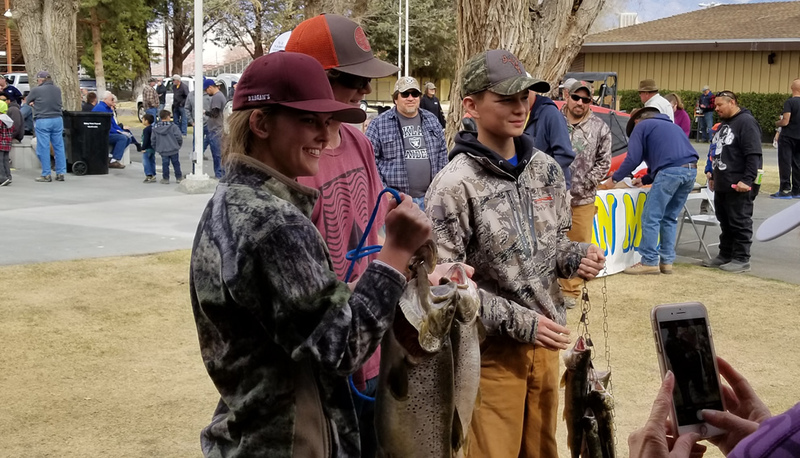 Pleasant Valley Reservoir and Owens River will be stocked with plenty of big fish! $10K+ in prizes and it’s a blind bogey, so everyone has equal chance of taking home fishing equipment, float tubes, gift certificates & cash. Organized by Bishop Chamber of Commerce and co-sponsored by Inyo County and dozens of generous prize sponsors and donors. Sign Up for The Derby Online!